From that list I only read My Soul To Take and Divergent. Both are great book. I hope you enjoy reading them. Happy reading! I love my kindle so hope you fall in love as well! Although saying that I still purchase hardcopy books as well. 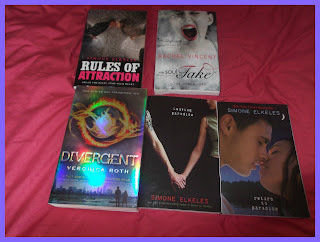 hooray for Divergent, Rules of Attraction and the KINDLE!!! Loooooove Rachel Caine. And I’ve heard mixed things about Wildefire but the cover alone makes it well worth buying. Sweet week girls! Oh it seems the last couple of weeks everyone is getting wildefire but me lol it's on the list for next time I go shopping! 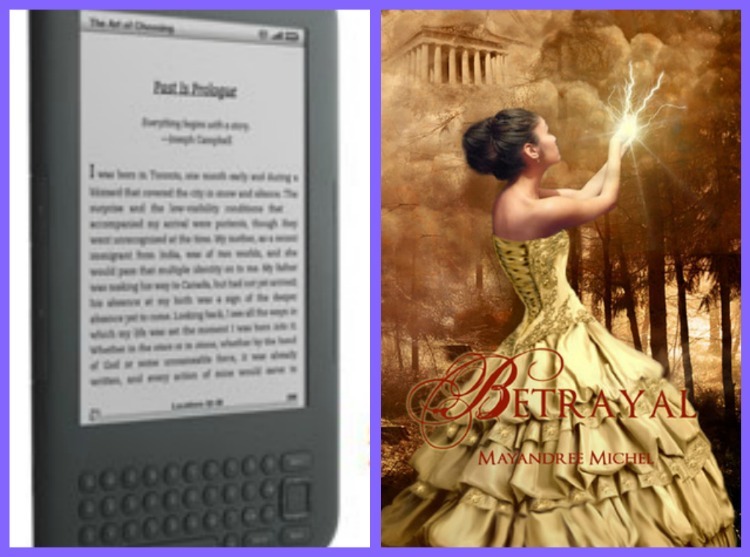 I've got a beautiful dark to review to, hoping to get to it soon and I've not heard of betrayal but that cover is gorgeous! Looks like you got lots of great books girls! I started to read Ill Wind once, but stopped for a reason I can't remember. Maybe I should try again because it does sound interesting. So many great books. I hope you enjoy all of them! You'll be happy to know after your and other book blogger's pleas for me to meet Jace, I finally bought the Mortal Instruments. Great job on the video Donna! (: I look forward to seeing them each week from now on :D! Wow, you have some really amazing books to read! I hope you enjoy them all! OMG!!! You totally ROCKED this IMM!!! JEALOUS!! Aww Donna you did an vlog! Great job. I am like that with recording a video so many times! Yay! Rules of Attraction was one of my favorite reads of last year! Love those Fuentes bros. I just watched your Vlog Donna it was fantastic and its so nice to put a face to your name now!